Posted on December 1, 2017 at 12:25 am. We’re kicking off the last month of the year the right way, with Christmas bonuses, new games, and exciting promos. 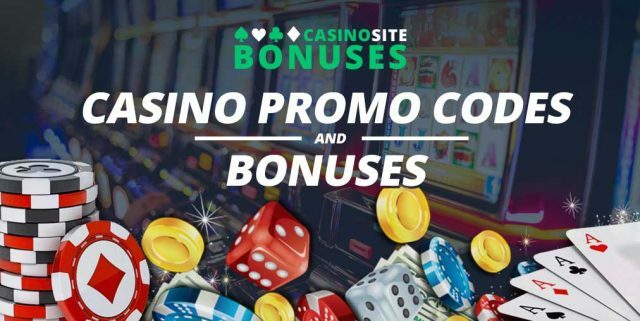 If you’re scouring the web for a code to use or even a site to play at, you’ve come to the right place, as we’ve rounded up the best of the best casino promos from the past week. Check out what’s on offer below. Guts is putting on a Wired Up Winter Wonderland promotion this month to get us into the Christmas spirit. The online casino is giving players a chance to win a share of €600,000 via leaderboard races, weekly share pots, daily prizes and more, with the promo running up until January 2. Earn points by playing your favourite casino games to qualify for the promotional offers, including the €25k leaderboard race running for the duration of the promotion where first place takes €5000, and the 249 runner-ups also score a cash prize. The more you play, the more points you will earn to make your way up to first place. You will also automatically enter the weekly pot once you accumulate 100 points, which are worth €15k. The pots are divided into three €5k pots and shared between players who earn 100 points or more, 1000 points or more, and 5000 points or more. Players who earn 10 points will also earn extra spins, provided you haven’t won a cash prize. Check out what these guys have to say about the Guts Wired Up Winter Wonderland promotion. Rizk has replaced Christmas with Rizkmas: a month-long promotional period where you can score a gift every day, up until December 25. The online casino is giving its players the chance to win deposit/reload bonuses, extra spins, Win-Win Chips, real money, and bonus money. You need to be a member of Rizk online casino to claim the daily gifts, so follow our links to create an account if you don’t already have one. Each day you can log into your account and find your presents under the Rizkmas tree. There are a few terms and conditions attached to the promo, including 35x wagering requirements for all deposit bonuses, and 15x wagering requirements for bonus money. Winnings generated from the Win-Win Chips also needs to be wagered 15x. Check out what’s under your Rizkmas tree at the interactive online casino, or find out more about the Rizk promotion here. Have you heard of the brand new online casino called HighRoller.com? It has been created by the Gaming Innovation Group, and it offers a new level of player engagement. A new casino means new bonuses, and HighRoller.com has a 200 percent welcome bonus up to €100 (or currency equivalent) plus 50 free spins to use on selected slot games for new players. The extra spins will be credited to your account across five days, to use on Warlords: Crystals of Power, Jungle Books, Gold Lab, Starburst and Sticky Bandits. Different slots may be selected if you’re located in Canada. HighRoller.com also gives players 20 free Coins (the casino’s currency) for opening an account, which you can use at the online casino’s shop. You can earn more Coins by sending your customisable avatar into Stings, which are heists where you can loot coins from other players who haven’t been active in five days. Find out more about HighRoller.com and its bonuses here. Online casinos also offer daily specials, including 25 free spins or a 30 percent deposit bonus, at House of Jack on Tuesday. Online casino players can head to House of Jack on Tuesday and claim 25 extra spins on QuickSpin’s Gold Lab slot, by entering the promo GOLD when making a minimum deposit of €/$20. Or claim a 30 percent deposit bonus up to €/$100 on your first deposit of the day, by entering the promo code EGYPT when making a minimum deposit of €/$20. Online casino players can deposit using the available payment methods including, credit and debit cards, web wallets and bank transfers. Winnings from the free spins are capped at €/$200 and will be added to your cash balance. If you’ve claimed the welcome bonus, you will need to wager it 40x before making a withdrawal. The online casino has a range of daily bonuses too, not just the Tuesday House of Jack bonus. NetEnt has released a brand new game called Finn and the Swirly Spin, and to celebrate its release Slots Million is offering 50 extra spins bonus on the new title. Players from Finland, Sweden, Norway, Germany, Iceland, Ireland, Luxembourg, Netherlands, New Zealand, South Africa, Switzerland, Austria and the UK can head to Slots Million, create an account, and claim the offer by entering the promo code ‘FINN50’. Make a real money deposit and claim the $100 welcome bonus to receive the 50 free spins on the new slot, after you have made your second deposit. Be sure to read the terms and conditions available on the Slots Million website before claiming the offer. Check out what these guys have to say about the Finn and the Swirly Spin game. Net Entertainment has released its roadmap for the first quarter of 2018, and we can expect to see five new games in the first three months of the year. The games include Twin Spin Deluxe (January 10 release), Universal Monsters: The Phantom’s Curse (January 24), Fruit Spin (February 8), Asgardian Stones (February 22 or March 12 depending on your location) and Hotline (formerly Miami Pursuit, March 22 release). NetEnt also announced plenty of promotions, which we can expect to find at Slots Million, including cash giveaways by playing Piggy Riches, The Legend of Shangri Law, Twin Spin (the original), Butterfly Staxx, Dazzle Me, Jungle Spirit: Call of the Wild, and Reel Rush. You can find out all about the new NetEnt games here.